In the fall of 2015, I took a course that revolutionized my understanding of the Great Commission, and my life. The course was Perspectives on the World Christian Movement. I followed it with an eight-week practicum in the winter during which I became aware of the unreached people groups within my community. Perhaps I am just a typical American, but I was seriously lacking in the arena of international evangelism. Both the course and the practicum became opportunities for God to open my eyes, soften my heart, and make me eager to reach people from parts of the world whose names I could barely pronounce. The remarkable thing is that I did not have to travel more than a few minutes to meet them. One of the tools I became aware of through these classes was the Discovery Bible Study (DBS) described by David and Paul Watson in their book Contagious Disciple Making. 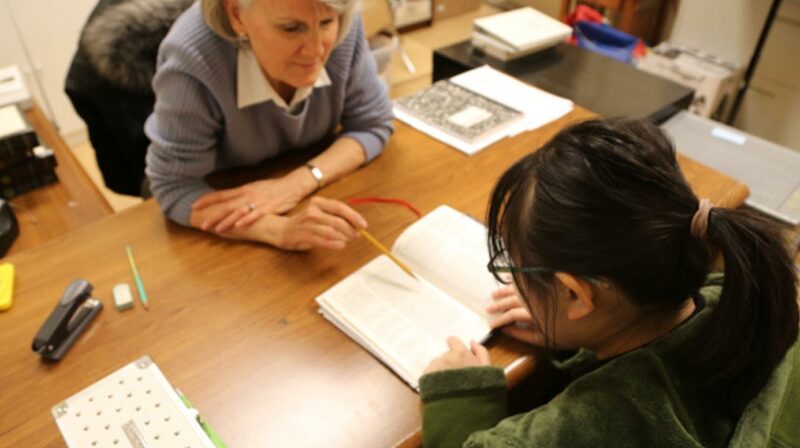 I began my first DBS with a young Vietnamese college student to whom I was teaching English. She had been in America less than 6 months. While teaching her I became familiar with her religious beliefs, which were influenced by both Catholicism and Buddhism. She only understood the concept of working hard to become acceptable to God. I asked her if she would like to do a Bible study with me. She was very eager! At the beginning of each study, instead of saying a prayer as is typical in a western Bible study, we shared something for which we were thankful and then shared an area of struggle. Next, we read a Bible passage several times over, giving her a chance to become familiar enough with the text so that she could repeat it in her own words. Following the reading, we looked to see what the verses said about God and man. We ended by discussing what she could change in her life that week as a result of what she’d just read. She then made a commitment to share the passage with a friend. It was amazing how easily she was able to respond to each opportunity to lean toward God in obedience, even before she knew Him personally. It wasn’t long before I saw my friend begin to change! Presently, I am doing a DBS with a Chinese student. She is not yet fluent in English so I provide her study in Chinese and then in English (with the help of Google translate)! The DBS has become a very comfortable venue for communicating and becoming friends with internationals, especially because it is not about them becoming like me or doing things the Western way, but it is a chance for them to experience the grace and the work of the Holy Spirit even before they know who He is. I’m excited to see what God will continue to do through these studies!